The Brewer 23051 Spin Lift Exam Stool is part of Brewer's Tradition Series spin lift examination stools which are the industry's standard in economical medical exam room seating. It features a round 14 inch wide seat with a 3.5 inch thick, easy to clean, poly-foam seat cushion. Brewer Tradition Series Medical Stools have a sturdy, S-four-leg chrome base and two inch rubber wheels with ball bearing casters. The weight capacity Exam Stool is 250 lbs. The Brewer 23051 offers precision spin lift height adjustment from 19.5 inches to 27.5 inches. It is designed with a chrome, round foot ring. 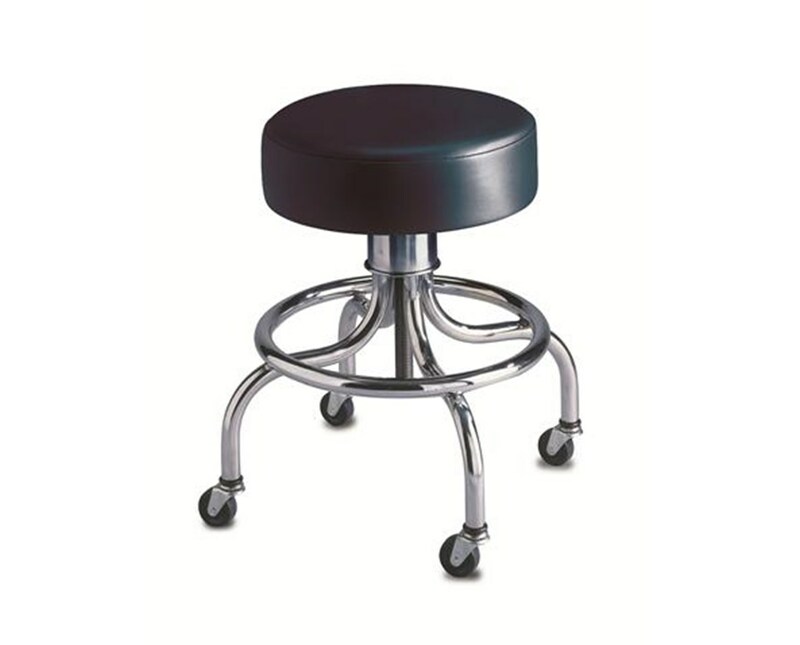 The Brewer Tradition Series of medical stools can be found in many offices and clinics, due to its affordability and durability. 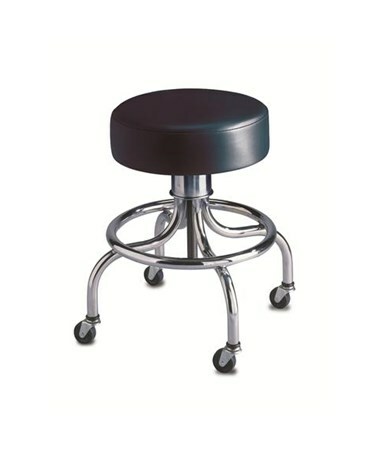 All Brewer stools includes 5 Year Manufactures Warranty. 14" wide, 3.5" thick poly-foam seat cushion for maximum comfort. 2" rubber wheels with ball bearing casters. Easy to clean poly-foam seat cushion . Height Range 19.5" - 27.5"
2" rubber wheels,ball bearing casters.